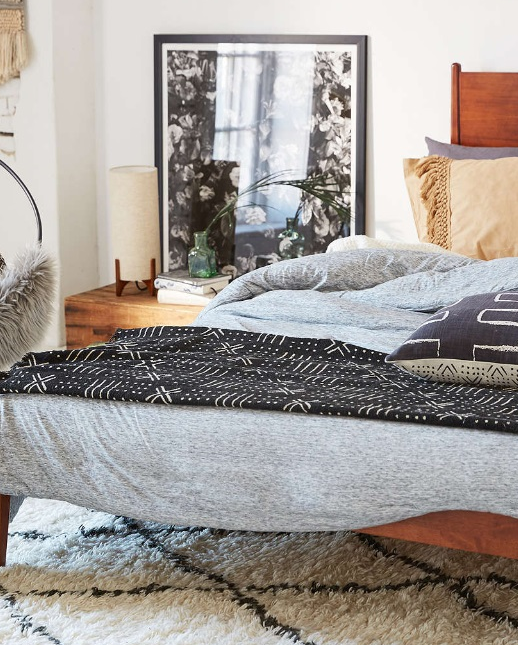 Elaborately patterned handmade textiles for 2017 home design are forecasted according to celeb designer Genevieve Gorder. 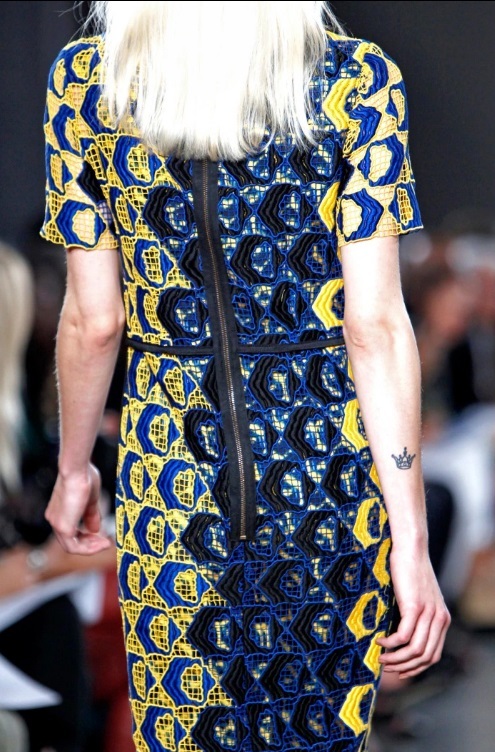 At the HGTV magazine NYC Blogger Block party she discussed the kind of prints that we have been noticing on the runways with bold, repeating, intricate motifs set against backgrounds of varying hues. 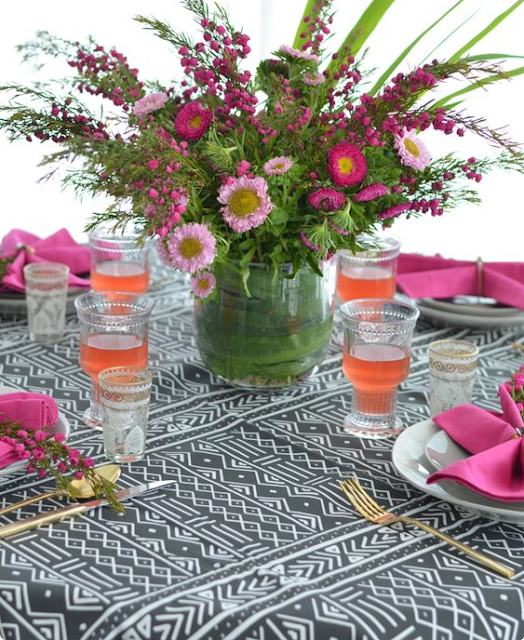 I love the bright colors but I am definitely favoring the black and white palates with tighter patterns and geometric shapes. These patterned influences are from the Dutch East Indies (now Indonesia). The Dutch went over to West and Central Africa where they took a liking to the local handicrafts and brought batik back to Indonesia. That's how the crossover happened. 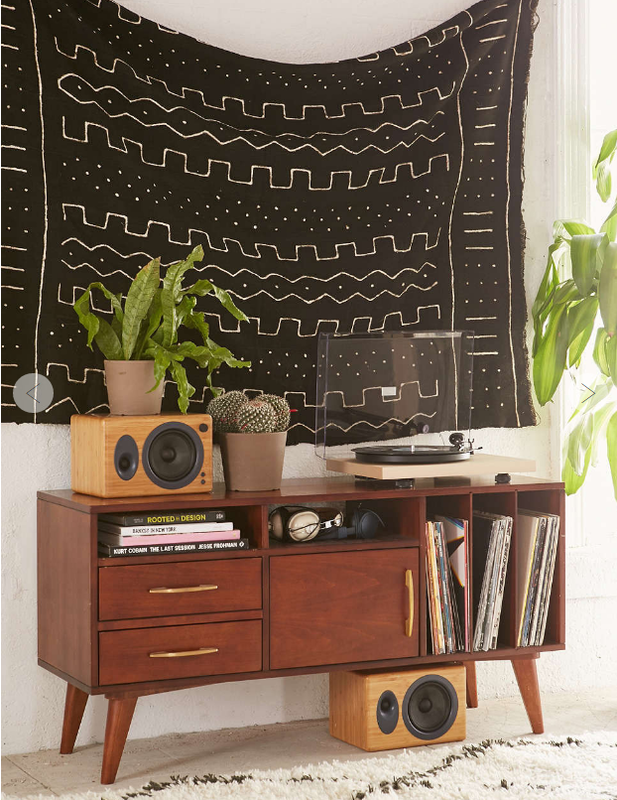 Batik textiles come from an old technique of wax-resist dying. The process is basically applying wax to a cloth and then dyed over that wax to create a pattern. 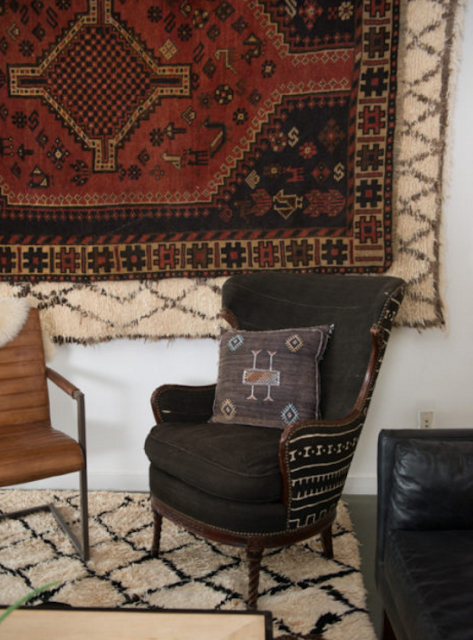 In home design we will be seeing different textiles like Mudcloth, Batik, and Barkcloth. Take a look at some cool ways these textiles can be used. 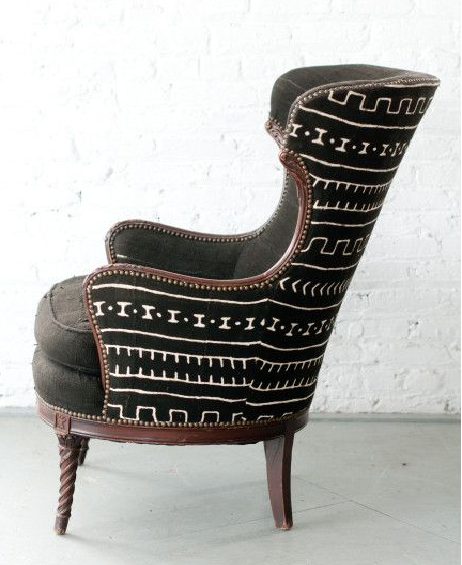 The 19th century wing-back chair renovated by Patina rentals in NYC was recovered with a beautifully textured Mud Cloth from Mali. 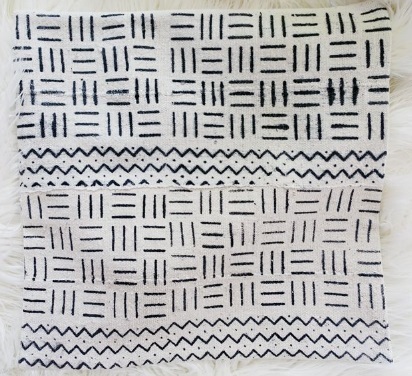 Mudcloths are handwoven in Mali Africa. 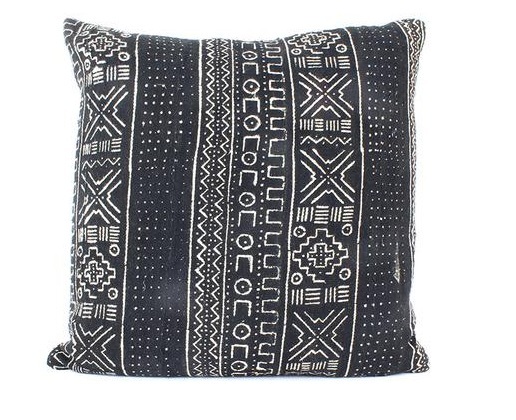 These authentic decorative textiles can be hung on the wall, placed on a bed, a pillow, a chair or thrown over a couch. Love the Mali textile especially on a dining table with accents of pink and rose! !